Passion Flower is a native climbing or trailing vine that may reach 25' in length. 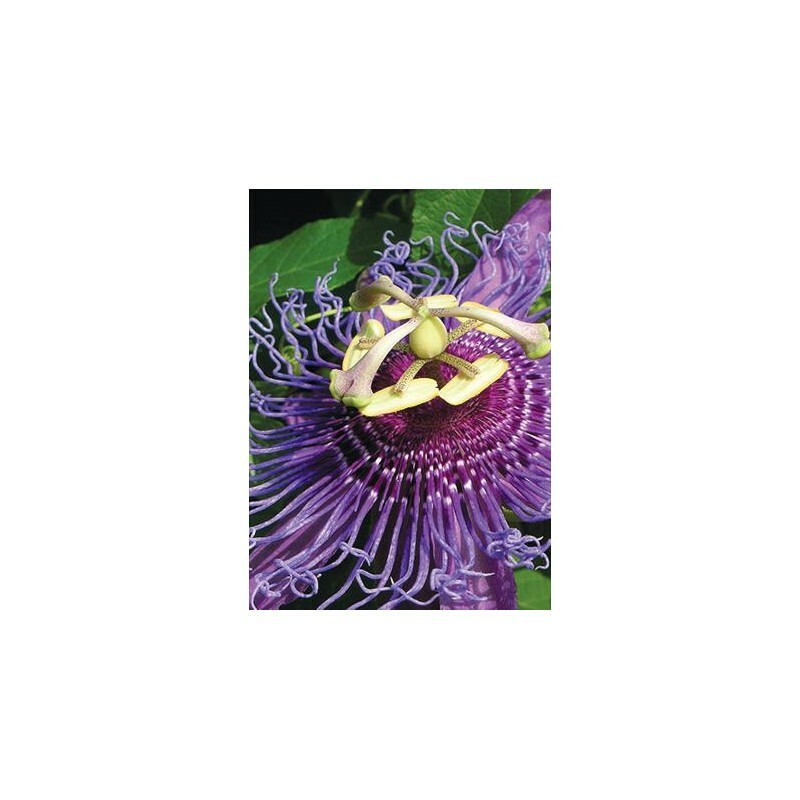 This summer flowering vine features eye-catching intricate 3" wide flowers with mostly purple petals and sepals subtending a delicate and brightly colored wavy fringe of hair-like segments. The pistil and stamens are also showy. 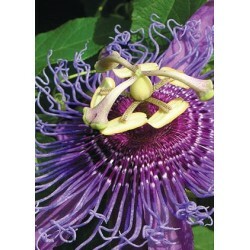 Passion Flower prefers dry to medium soil and full sun or part shade. It is often used in garden arbors, walls and fences because of the ease of growth and beautiful fascinating flowers. 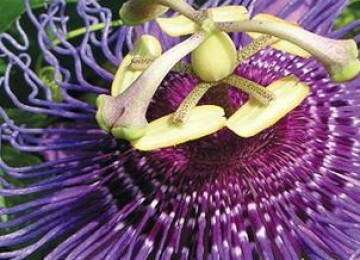 The name Passion Flower is from the supposed representation of the crucifixion of Christ. The 10 petals for the disciples, excluding Peter and Judas, the stamens the wounds, the stigmas the nails, and the fringe, the crown of thorns.